Soonhyang Kim will be the NNEST IG coordinator starting in March and has been one of the leaders in our field for the past several years. Born in Korea, she received a BA from Seoul National University of Science and Technology before coming to the United States. She received an MA in TESOL from Murray State University in Kentucky before going to Ohio. She earned a doctorate degree in foreign, second, and multilingual language education from The Ohio State University, Columbus, Ohio in 2007. Her specialization was TESOL with specific areas of study in second language literacy and research methods in education. Currently, she is a tenure-track assistant professor and program coordinator of TESOL and Bilingual Education at Pace University. Before that, she worked as an assistant professor and the founding director of a new masters’ level PreK-12 ESL teacher certification program at D’Youville College in Buffalo, New York for four and a half years after serving one year as an assistant professor of Korean at the Defense Language Institute Foreign Language Center in Monterey, California. In addition, she worked at Medaille College in Buffalo, New York as a consultant and a special assistant to the academic dean to support the university’s internationalization initiatives. Her recent research interests are as follows: NNEST teacher preparation and professional development; teaching and assessing professional dispositions (PD); cultural narratives as instructional strategies; TESOL program evaluation and administration; online teacher education; computer-assisted language learning (CALL); and second and bilingual language/literacy development. Her recent publications related to NNEST issues include co-guest journal editorship with Ryuko Kubota about supporting NNES instructors in higher education, a NNES career book chapter about seeking a faculty position, and a Modern Language Journal research publication about the academic and professional identity development of three NNESTs with Keiko Samimy and two NNEST graduate students. She has been actively involved in professional service at the local, national, and international levels. She served as an executive board member of the New York State TESOL organization and coordinator of its Special Interest Groups (SIGs) from 2008-2010 and founding chair of the Teacher Education Special Interest Group. She was also chair of the International TESOL Higher Education Interest Section in 2006. She is currently serving as chair-elect of the Non-Native, English-Speaking Teacher Interest Section (NNEST IS) of TESOL. skim2@pace.edu | December interviewer: Madhukar K. C.
December interviewer: Madhukar K. C.
Kim, thank you so much for accepting our invitation to be our guest of the NNEST-of-the-month blog interview. Could you please tell us a little bit about your linguistic, academic, and professional background? 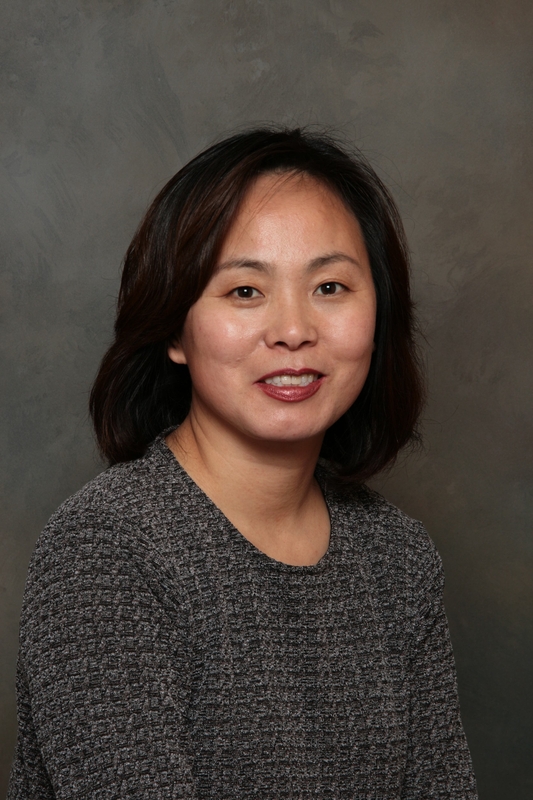 Dr. Kim: I am a Korean-born, non-native-English-speaking (NNES), Asian teacher educator working at a U.S. university. I am a former international university student and a former ESL teacher in elementary and secondary schools in the U.S. After receiving a master’s degree in TESOL at Murray State University in Kentucky, I earned a doctorate degree in foreign, second, and multilingual language education from The Ohio State University in Columbus, Ohio in 2007. I am a tenure-track assistant professor and founding program coordinator of the TESOL and Bilingual Education program at Pace University, New York. As the first and only full-time tenure-track TESOL/Bilingual Education faculty at Pace, my primary responsibility—in addition to teaching general teacher education courses for all teachers–has been to develop new TESOL and Bilingual Education programs. Before that, I worked as an assistant professor and the founding director of a new masters’ level PreK-12 ESL teacher certification program at D’Youville College in Buffalo, New York for four and a half years after serving one year as an assistant professor of Korean at the Defense Language Institute Foreign Language Center in Monterey, California. In addition, I used to work at Medaille College in Buffalo, New York as a consultant and a special assistant to the academic dean to support the university’s internationalization initiatives. My main activities in this job included assessing international students’ language and academic needs, designing and teaching academic oral communication classes, and providing professional development workshops for faculty working with international students in general education courses and in specific fields. I also designed a three week summer ESL program for short-term language and cultural training and assisted dual-degree program partnerships, student exchange agreements, and overseas internship programs with several Chinese and Korean universities. How did you become inspired to come to the United States for your graduate study and later become an educator, especially a professor of TESOL at a university in the United States? Dr. Kim: For about a decade after graduating from a vocational high school in Korea, I worked in the business world. In the fall of 1997, I embarked upon a solo backpacking trip through Canada and the U.S. to see the world and enroll in an MA TESOL program. After completing my degree at Murray State University, I intended to return to Korea to contribute to my home country’s English education. However, the academic dialogue I experienced in the U.S. – which included teaching Korean to Americans at the university level and teaching English to ESL students at public schools – led me to pursue a doctoral degree in language education at Ohio State in 2000. In addition to my academic training at Ohio State, my five years’ work experience at the university teaching center, where I provided support to international instructors and helped all instructors create inclusive classrooms for international students, increased my confidence and piqued my interest in a teacher-educator job at a U.S. university, where I could advocate for linguistic and ethnic minorities in the U.S. Now here I am! Could you share any vivid memories of some of the challenges you have encountered as a consequence of your international identity, and more specifically of having an NNES identity, as a graduate international student and later as an educator of TESOL at a university? These days, I no longer get frustrated with such encounters – and I certainly don’t view them as a deficit on my part. Instead, I try to analyze the context behind the incident and consider how to translate the experience into an effective, authentic instructional tool—something I perhaps can share with students in a class on multicultural education or sociolinguistics. There is indeed some inconvenience associated with being an Asian-looking NNES, though. I tend to wear more formal or old-fashioned-looking clothes than what I prefer. I frequently dye my hair in a colorful manner to look “less” Asian, even though I prefer to maintain my original black color. But this is not a big deal. I enjoy observing myself and others, and I am very open with the people around me. Most of your research works address second-language (L2) teacher education, L2 literacy and NNES professional issues with a major focus in teacher preparation in elementary and secondary settings and the internationalization of higher education in the States. How can NNES educators help develop students’ cross-cultural awareness through engagement in critical inquiry about the English language and international communication? What suggestions would you give in this regard? Dr. Kim: Having students engaged in authentic cultural narratives of language and learning experiences can be an effective instructional strategy to positively impact pre-and in-service teachers’ ability to teach students with diverse linguistic and cultural backgrounds. As stated earlier, I often use my status as a NNES as an instructional tool. For example, I share my language and literacy development autobiography in second language and literacy development courses to both address possible challenges an NNES may experience and explain how they can be overcome. This introductory activity also helps acquaint me with the class. Refer to the articles in the reference list if you want to know more about my scholarship and how to use our own NNES cultural narratives as an effective instructional strategy (Kim, Ates, Lee, & Grigsby, 2013; Ates, Kim, & Grigsby, 2014). NNES instructors of TESOL/Applied Linguistics are able to make significant contributions to teaching due to their firsthand linguistic and cultural knowledge (Braine, 1999; Mahboob, 2010). However, the instructional strength of NNES professionals is often camouflaged by discriminatory practices such as racial and linguistic prejudices in the field. How can NNES professionals work together to cope with this situation to make this teaching and learning field free of all forms of biases and prejudices? As an NNEST-IS chair-elect, how do you think TESOL, more specifically NNEST-IS could/should contribute to this issue? It’s not likely you’ll find an institution that’s free of all bias and prejudice. However, we can help create a less biased and prejudiced environment. That means acknowledging discriminatory hiring practices and encouraging the administration to eliminate them. Of course, it can be challenging and risky for us as individual professionals to confront this thorny problem. However, as a NNEST IS collective we can, and should, raise awareness about it. For example, if we see a discriminatory hiring practice through a job ad, we as a NNEST IS community can write a letter to the employer. We can also bring this issue to the table through NNEST-related events, conference sessions and position statements, as we have done so far. As a NNEST chair-elect, I would like to create a collaborative virtual or in-person session between International TESOL NNEST ISs and TESOL professional organizations around the world to discuss key NNEST issues at professional organization meetings. Together, we can effectively raise awareness of hiring practices and the field in general to create a more positive work environment for all teachers around the world. Please feel free to contact me if you or your organization is interested in collaborating with the NNEST IS about this matter. In your co-authored article with Ryuko Kubota ‘Supporting nonnative English-speaking instructors to maximize student learning in their courses’ (Kim & Kubota, 2012), you have introduced various NNES authors’ articles as per the themes: NNES professional development; challenges faced by NNES instructors; and educating students for affirming diversity. In what ways do you think academic institutions can provide support for empowering NNES instructors and graduate TAs (GTAs) for their professional development? Dr. Kim: To answer this question, I’ll refer to my own longitudinal study about NNES students’ academic and professional identity development (Samimy, Kim, Lee, & Kasai, 2011). First, TESOL programs can approach NNES matters academically and professionally by creating “safe houses” (Pratt, 1991) where they can openly discuss critical aspects of NNES-related issues and engage in alternative discourses, such as English as an International Language and World Englishes. This can be done, for example, through an NNES seminar course (Samimy & Kim, 2006; Samimy, Kim, & Sarwark, 2006) or cross-curricular approaches that incorporate these issues across the curricula (Kamhi-Stein, 1999; Pavlenko, 2003). Such interventions expose NNES students to alternative discourses and identity options so they can see themselves as successful L2 speakers and professionals in their current or imagined professional communities. Second, TESOL faculty members need to establish mentoring relationships among NNES students. Depending on the students’ stages of academic acculturation and their future goals, mentoring could take different forms. Faculty can invite senior students to serve as co-researchers on a participative inquiry project or to co-present at a conference. For incoming students, implementing a buddy system between these new students and more senior students with similar research interests may be beneficial and more feasible. With newcomers, TESOL faculty may also suggest holding NNES support group meetings to address issues they encounter. Once the scaffolding of the NNES support group is in place, you can add two more dimensions to its structure: First, the group can invite other faculty to a forum to increase mutual understanding, allowing NNES students the freedom to engage in a dialogue with them. Second, the group can invite senior NNES TESOL graduate students to share their academic and acculturation experiences. As my longitudinal study in 2011 shows, such a group can provide members with not only valuable support, but an opportunity to learn how to become a legitimate member of academic communities. Although mentoring NNES students is rewarding in many ways, the department should formally endorse and acknowledge it so faculty and students receive credit. This could take the shape of independent study credit for students; for faculty, mentoring could count toward service requirements, which in turn favorably impacts tenure and promotion. Finally, I’d recommend the same, or similar, recommendations to support ITA professional development. It’s critical that institutions create safe houses or interventions where ITAs can freely share their teaching concerns. Administration can offer ITA development workshops, support group meetings, or peer or faculty mentoring process. All of these should be ongoing efforts, so ITAs receive different interventions throughout their teaching. You have had experienced a number of academic trajectories from marginal to fuller participation in the diverse contexts of academia in the United States. In a chapter of your book entitled ‘Seeking a Faculty Position’, you have beautifully presented your ideas about giving advices to NNESTs who are looking for a faculty position in higher education in the States. Did you intend to write this for all general job seekers or more specifically for NNES professionals? Please tell us a little bit about the strategies you employed while seeking a faculty position in higher education in the field of TESOL/Applied Linguistics in the U.S.
Dr. Kim: The book chapter I wrote about looking for a faculty position (Kim, 2012) provides general job search tips and advice for all job seekers, as well as specific strategies that NNES professionals and other professionals of color can employ for their successful faculty job search in TESOL and applied linguistics, specifically in the U.S. context. Your job search process and preparation start from Day 1 of your graduate study. From the start, find out what specific skills, knowledge, dispositions, and experiences potential employers seek. After identifying your strengths and deficits, be prepared to accumulate the qualifications and experience you need to compete in the job market. If you don’t have sufficient higher-education teaching experience – something that most universities and colleges prefer –if not require – and you can’t land a teaching position at your own institution, seek a teaching opportunity at another university or community college. You can also gain teaching experience in an overseas position. This is especially palatable for international doctoral students who have difficulty working in the U.S. due to visa restrictions. Especially in the field of English language education, institutions are looking increasingly for candidates with teaching experience in both domestic and international education and in both English as a second language and English as a foreign language. Refer to the chapter to access more advice along with specific examples. I recommend that graduate students seeking employment in higher education read this book, Demystifying career after graduate school: A guide for second language professionals in higher education, edited by Ryuko Kubota and Yilin Sun. It presents successful strategies to develop an academic career in higher education in the field of second language education and applied linguistics. In the job market, there still prevails the ‘myth’ that native speakers are better than nonnative speakers professionals, and thus many academic institutions seem to give privileges to NES over NNES professionals. What criteria do you think academic institutions in and outside the U.S. contexts should set for hiring professionals for a faculty position in higher education? What advice would you give to NNES international graduate students or new instructors who want to have a promising teaching career in English speaking countries later in their career after study? Dr. Kim: An NNES international doctoral student once asked me where she could find a job at an institution that didn’t discriminate against NNESTs. I told her that she should highlight the fact that she is a nonnative English speaker in her cover letter and interviews. Remember, your firsthand experience as a former EFL/ESL learner, as a native speaker of your own language, and, now, as a bilingual speaker contributes greatly to language education. When you have educational and cultural experiences in both the U.S. and elsewhere, additional foreign-language-learning experiences, and teaching experience in both the U.S. and your home country, you have attributes that set you apart. An increasing number of institutions seek such candidates to promote international initiatives. Some seek candidates who can teach courses in second-language education along with foreign languages and culture. Not many native-English-speaking candidates have this combination of qualifications. Thus, you may be one of the most qualified candidates – someone who can add diversity and internationalism to the institution and serve as a role model and mentor for students and faculty. Many institutions promote diversity and internationalization to meet educational and economic needs. Therefore, it’s critical that they hire and retain diverse faculty and staff. As long as you have the qualifications and experience they seek, don’t be discouraged from applying to an institution, even if it has little or no minority faculty. Administrators at such institutions may well be eager to hire the best-qualified individual from an underrepresented group to showcase their efforts to create a diverse learning environment. The career book chapter in 2012 includes more details about it. As one of the NNEST leaders, what improvements have you witnessed in the status of NNES professionals over the years since the inception of the NNEST Caucus, NNEST-IS in TESOL? Our December 2008 guest, Ahmar Mahboob argued, “NNESTness is not simply an identity issue, but a professional concern with serious research and professional implications.” To what extent do you agree with his views? What would you like to see the NNEST community members initiate or do further? Dr. Kim: Although many unresolved NNES matters remain, I have seen significant progress in both awareness and practice related to NNES professionals since my first involvement in the NNEST IS in 2004-5. The most recent International TESOL Conference in 2014, I noticed more diverse IS constituencies from all over the world than before, especially from expanding and outer circle countries. This is promising in that there are many more non-native English speakers than native speakers; therefore the issues of NNESs in non-English-speaking countries should be closely examined. I have also noticed that many more NESs participate in the NNEST IS with more research collaboration with NNESs. I agree with Ahmar that we should approach NNEST matters in a professional manner beyond the personal identity issue. Among them, several pressing professional concerns are employment issues of NNES professionals, effective teaching strategies for NNESTs, raising NNES professionals’ confidence and competence in language proficiency, and collaboration between NNESs and NESs. When we approach NNES matters with frequent academic and professional dialogues and scholarship, the NNEST community can raise collective awareness of the English language teaching field beyond the NNEST community. Please tell us about your present engagements/projects i.e., writing a book chapter, article, or publishing a book in addition to teaching TESOL courses at your university. As a busy TESOL professional, how do you balance your professional and personal lives? Dr. Kim: At the moment, I’m writing several manuscripts independently and in collaboration with students and colleagues in TESOL and beyond. All of my work focuses on the teaching and education of culturally, linguistically diverse students and promotes internationalizing higher education. I’m currently editing a collection of empirical research studies and review articles on ESL education. Entitled “TESOL Education: Current Issues and Best Practice,” (2014, forthcoming) this book addresses current issues and promotes best practices in ESL education. Its primary aim is to expand readers’ knowledge of ESL learning, teaching, and assessment in K-16 schools. The next book project I’m planning to edit is a collection of cultural narratives by various writers with a reflective team approach analysis. I’m also editing a special topic journal issue entitled “University Students’ Readiness at Workplace: How to Address Professionalism.” It will appear in the Journal of Excellence on College Teaching, one of the oldest and most respected international journals in university pedagogy in 2016. I aim to define professionalism, identify and describe the critical disposition indicators for success in the workplace, and present effective strategies to support students’ development of desired dispositions needed for college and career. As for balancing my professional and personal life, trial and error has taught me that I’m most successful when I closely connect both worlds. For example, my U.S.-born, Korean American, 11-year-old daughter participates in my longitudinal bilingual research project, which examines characteristics affecting successful bilingualism and positive identity construction with the multiple case study approach. Every summer I document her bilingual trajectories through interviews—with some “rewards” she enjoys! I analyze the data to understand her bilingual development and her identity construction throughout the year. This professional engagement with her, enhances both my professional development and our personal mother-daughter bond. Several of her bilingual friends also participate in my research. Interacting with them strengthens my relationship with their parents which sometimes results in good friendships. Certainly, though, I give up a lot to manage my work and family, like taking personal time to shop or simply unwind. But everybody has to make these kinds of choices based on what they value most, and I’m happy with mine. Thank you very much, Dr. Kim, for sharing your thoughts, advices, and numerous references. I look forward to your leadership in our IG during the coming year! Ates, B., Kim, S., & Grigsby, Y. (2014, forthcoming).Understanding English language learners: Incorporating our own cultural narratives in TESOL Education, Journal of Praxis forMulticultural Education. Braine, G (Ed.). (1999). Non-native educators in English language teaching. Mahwah, NJ: Erlbaum. Kamhi-Stein, L. D. (Ed.). (March, 1999). NNEST Newsletter: The newsletter of the nonnative English speakers in TESOL caucus, 1(1). Kim, S. (Ed.). (Fall 2016, target publication).University students’ readiness at workplace: How to address professionalism. Special issue of Journal of Excellence on College. Kim, S. (Ed.). (2014, forthcoming).TESOL education: Current issues and best practices,Untested Ideas Research Center. Kim, S. (2012). Seeking a faculty position. In Kubota, R. & Sun. Y. (Eds. ), Demystifying careerafter graduate school: A guide for second language professionals in higher education (pp.9-21). Charlotte: NC: Information Age Publishing. Kim, S. (2005, March). Suggestions to reduce second language anxiety in teaching. ITAIS Newsletter: The newsletter of TESOL’s International Instructor Interest Section, 10(2).Retrieved on October 5, 2009 from http://www.tesol.org//s_tesol/article.asp?vid=180&DID=3510&sid=1&cid=747&iid=3507&nid=3205. Kim, S. (2004, November).When and how to resolve language issues of non-native EnglishSpeaking teachers-in-preparation in TESOL programs. NNEST Caucus Newsletter: The newsletter of the nonnative English speakers in TESOL caucus, 6(2). Retrieved on October 8, 2009from http://www.tesol.org//s_tesol/article.asp?vid=151&DID=2989&sid=1&cid=718&iid=29984&nid=2982. Kim, S., Grigsby, Y., & Micek, T. (2013). Addressing professional dispositions for teaching P-12 English language learners: Why, when, and how. International Journal of TESOL and Learning, 2(2), 65-80. Kim, S., Micek, T., & Grigsby, Y. (2013).Investigating professionalism in ESOL teacher education through critical incident analysis and evaluation. International Journal of TESOL and Learning, 2(3).175-190. Kim, S., Ates, B., Lee, G., & Grigsby, Y. (2013). Incorporating our own cultural narratives inTESOL education: A reflective team approach by four TESOL educators. International Journal of Education and Culture, 2(2), 177-194. Kim, S. & Kubota, R. (Eds.) (2012).Supporting nonnative-English-speaking instructors to maximize student learning in their courses. Special issue of Journal on Excellence in College Teaching 23(3). Kim, S. & Kubota, R. (2012). Supporting nonnative English-speaking instructors to maximize student learning in their courses: A message from the guest editors, Journal on Excellence in College Teaching,23(3). 1-6. Kubota, R. & Sun. Y. (Eds.) (2012).Demystifying career after graduate school: A guide forsecond language professionals in higher education . Charlotte: NC: Information Age Publishing. Mahboob, A. (2010). The NNEST lens. Newcastle Upon Tyne, UK: Cambridge Scholars Press. Pavlenko, A. (2003). “I never knew I was bilingual”: Re-imagining teacher identities in TESOL. Journal of Language, Identity, and Education, 2, 251-268. Samimy, K., Kim, S., Lee, J., & Kasai, M. (2011). A participative inquiry in a TESOL program:Development of three NNES graduate students’ legitimate peripheral participation tofuller participation. The Modern Language Journal, 95(4), 558-574. Samimy, K., & Kim, S. (2006). Improving academic and professional oral proficiency: A collaborative language-focused graduate seminar for NNES graduate students in TESOL. Acción Pedagógica, 26-33. Samimy, K., Kim, S., & Sarwark, S. (2006, May). A collaborative language-focused graduateseminar in a TESOL program .NNEST Caucus Newsletter: The newsletter of the nonnative English speakers in TESOL caucus, 8(1). Retrieved from http://www.tesol.org//s_tesol/article.asp?vid=151&DID=6171&sid=1&cid=718&iid=6165&nid=2982. This entry was posted in Uncategorized on November 29, 2014 by Terry Michael Grayling. I was an ESL teacher at City College of San Francisco for 34 years. Now I live near the campus of the University of Oregon in Eugene where I read a lot, am working a book on EIL issues for specifically for new MA TESOL students, and work on the NNEST of the month blog and other activities related to NNEST and EIL issues, and enjoy exercising and taking walks.